SKU: 50-114. 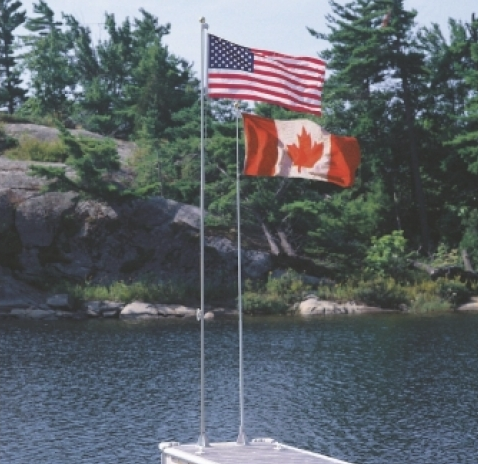 Categories: Dock Accessories and Hardware, Flag Poles. Designed to withstand high winds, these non-conductive poles will never rust or corrode and are great for docks, decks, marinas, patios, cottages or home use. 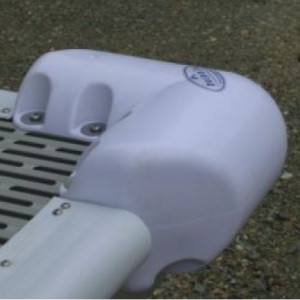 Aluminum bases are powder grey coated for long life. Brass plated pole ball tip and stainless steel mounting hardware included. 18 Ft. comes with swivel system to greatly reduce flag tangles, while 21 Ft. comes with a conventional pulley and line system.